Click here to go to my 2006 diary. Click here to go to the 2007 images. Click here to view the Aboyne 2006 Pictures page. Click here to go to the 2005 images. 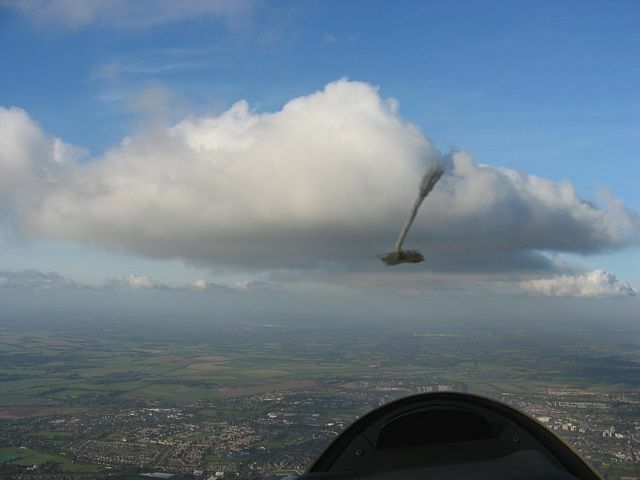 I enjoyed some rare November thermals today. 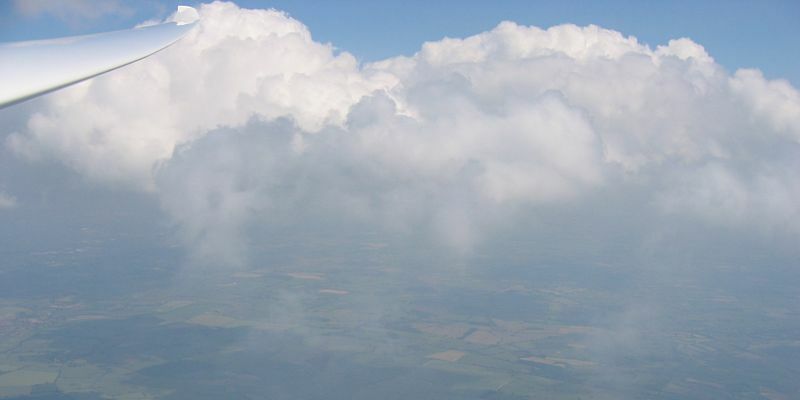 At one point I managed to get slightly above cloudbase. 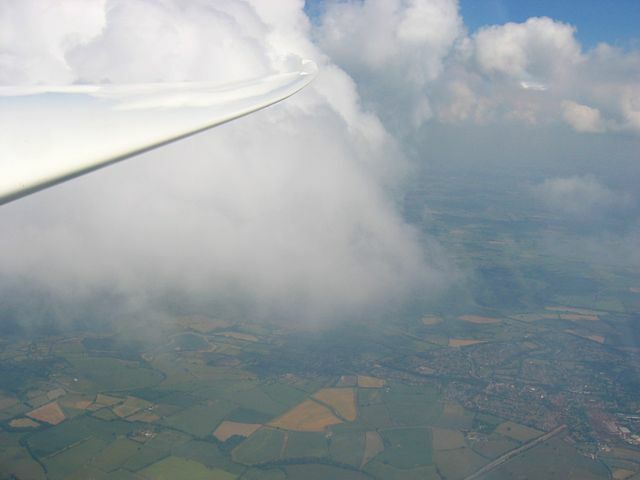 I was local soaring close to Lasham. The town below me is Basingstoke. 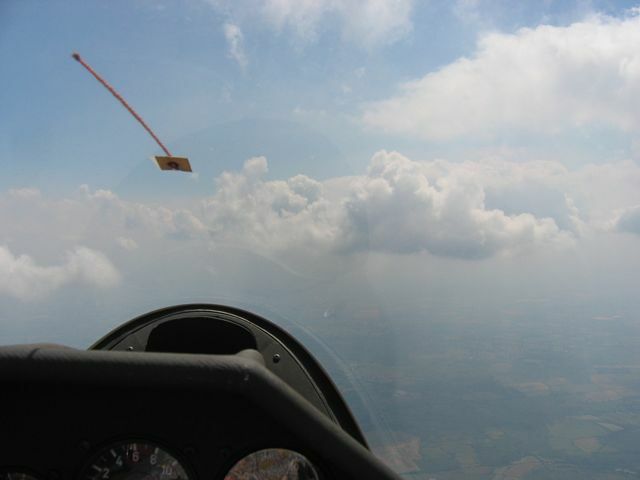 Cloudbase was never particularly high and it was a struggle to stay up at times but given the time of year it was very pleasant. 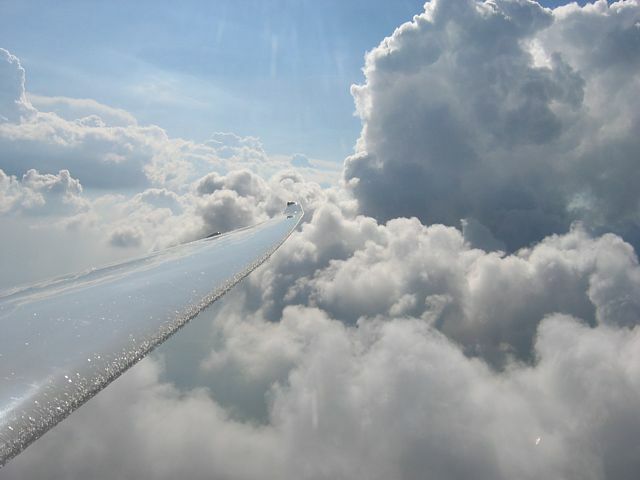 Looking at the clouds above, below and around me. 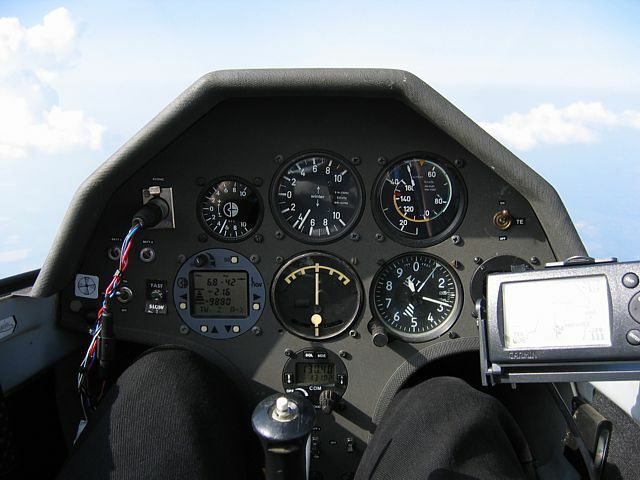 I spent this period at Aboyne airfield between the Cairngorms and Aberdeen. These pictures have now been moved to their own page. Click here to see the Aboyne pictures. A nice slow lazy jolly in the Ventus to Shaftesbury and back (166km) in unexpectedly good conditions. It was slowly going blue on the way home but still easily soarable. 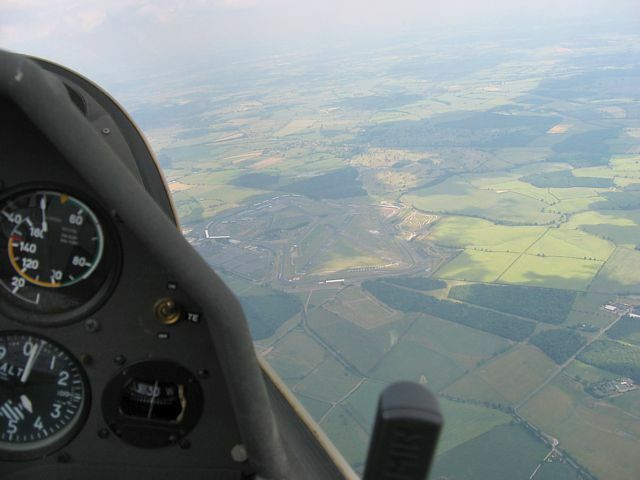 On the way back I went up the finger of clear airspace just west of Salisbury and Boscombe Down ATZ to about 5km south-southwest of Stonehenge for a bit of sightseeing before backing out the way I came and carrying on home. 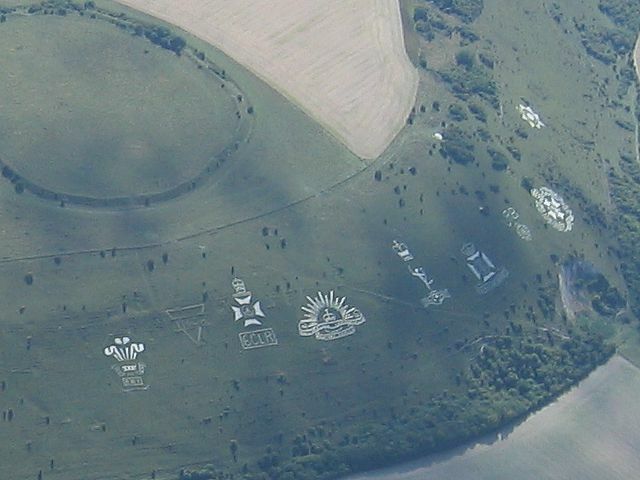 And yes I was very careful not to go anywhere near the airspace north of the A303, which is why the Stonehenge shot is a rather long range. 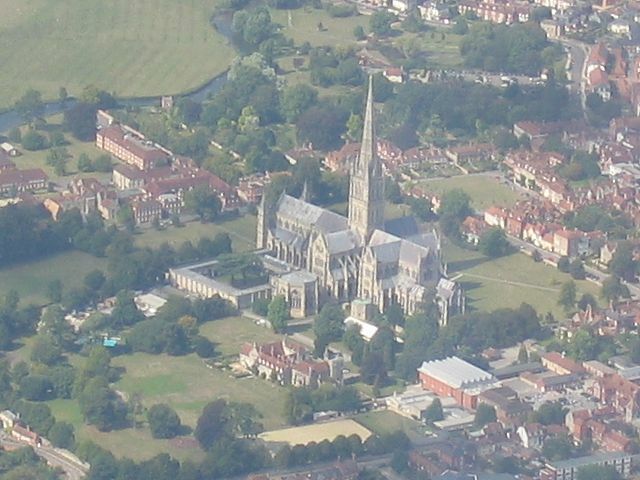 Passing Salisbury Cathedral on the way out to Shaftesbury. Chalk cuttings in a hillside to the southwest of Salisbury. 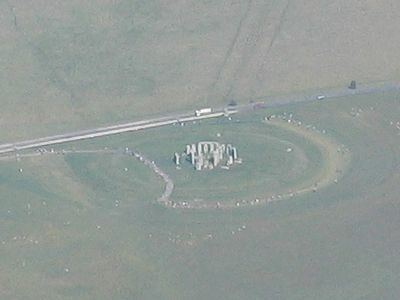 Long range shot of Stonehenge. 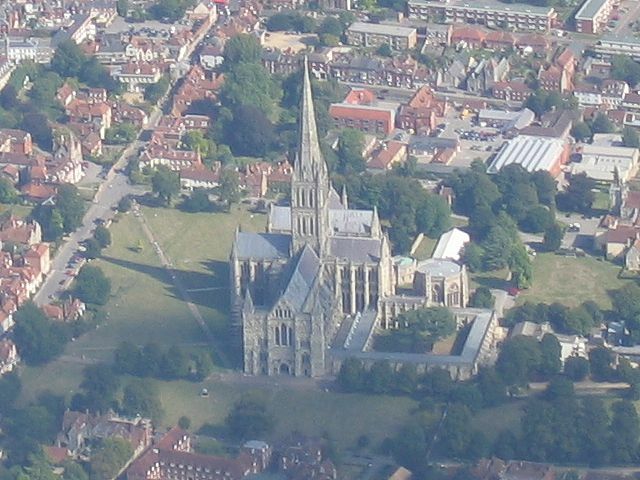 Passing Salisbury Cathedral again on the way home. 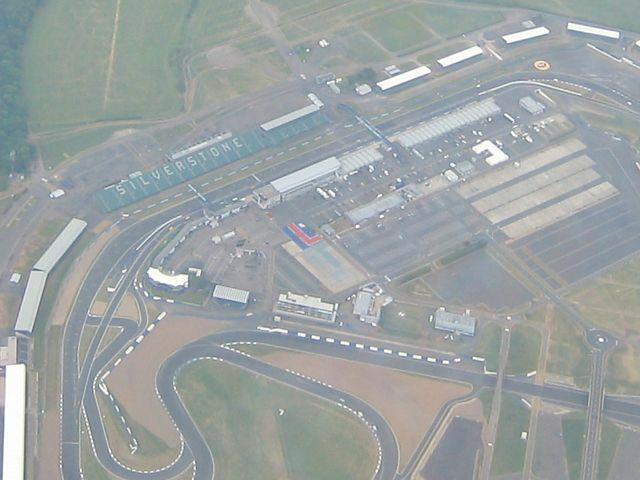 Approaching Silverstone from the South during the outbound leg. 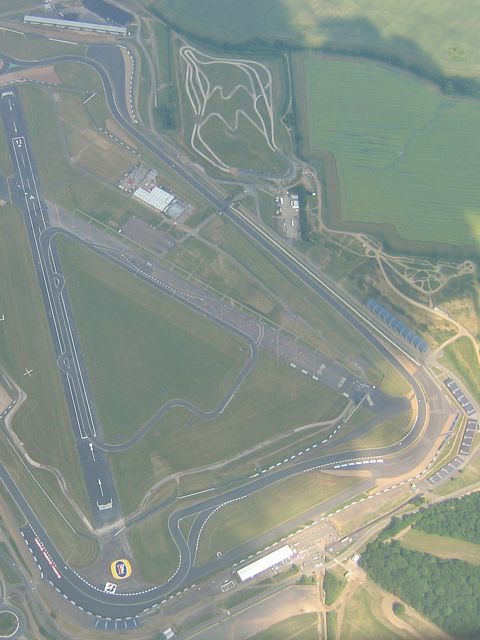 A closeup of the northern grandstands and pit lane. 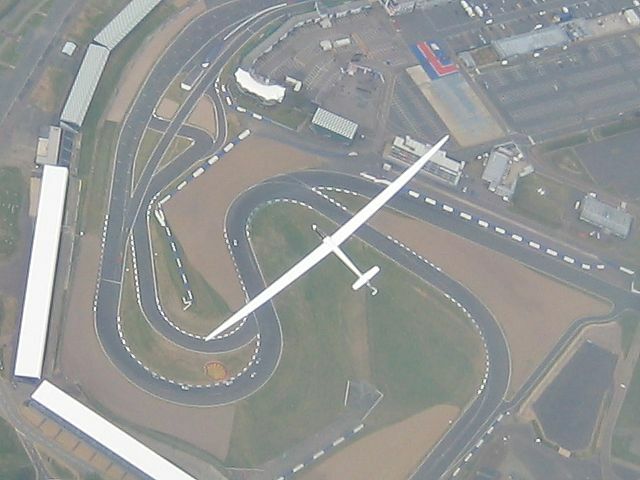 Another glider below me sharing my thermal while several cars race on the track below. 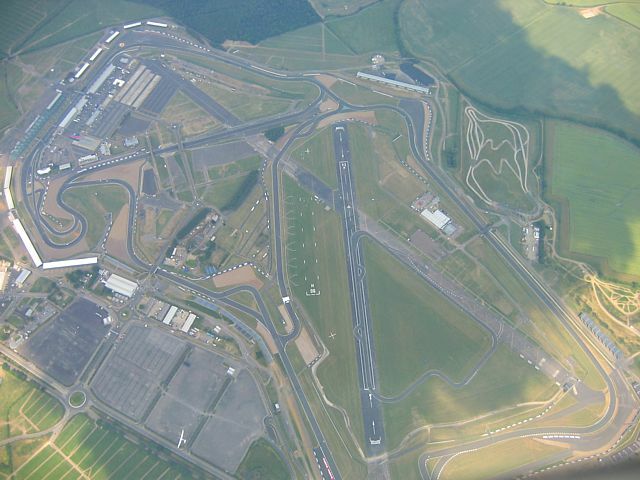 A closeup of the southern circuit and hangar straight. My best shot of the whole race track. 3 shots taken after the cloudclimb, while heading south-southwestwards towards Bicester from Silverstone. Me contemplating an unfriendly looking blue sky the next day. After being poor low blue thermals much of the day things livened up mid afternoon. 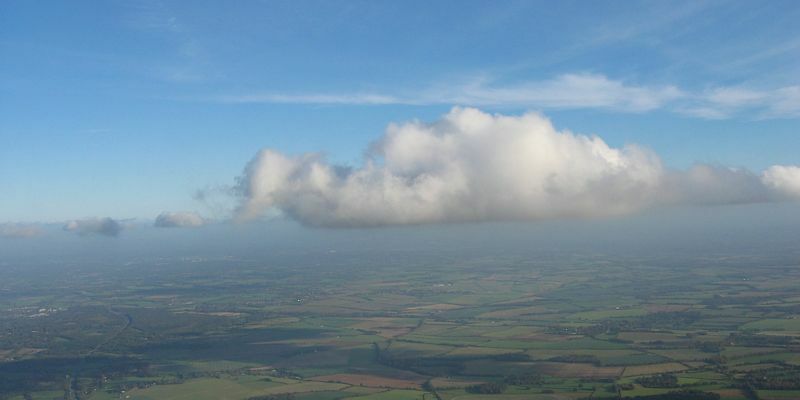 I headed over towards Andover where cloudbase peaked at 7200 feet above sea level. 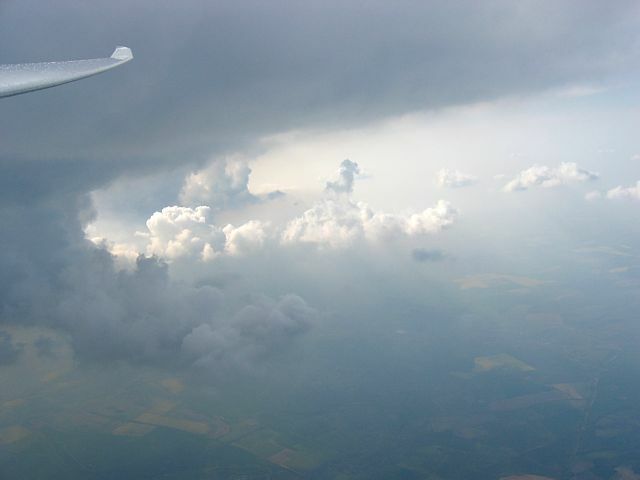 I practiced some cloud climbs. 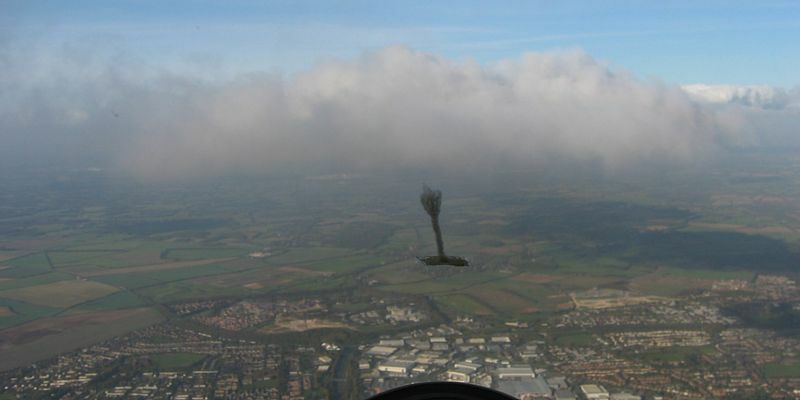 The last cloud climb over Andover was spectacular. 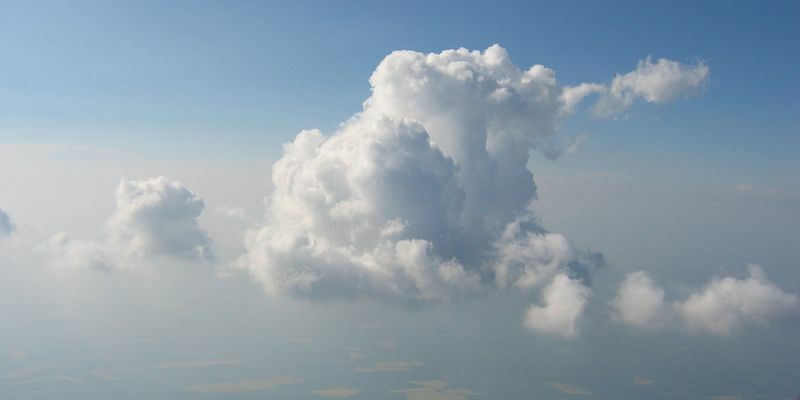 When I entered it was just another cumulus cloud. But at about 8500 feet it went bananas with the vario on the stop. I decided to get out and emerged at just over 10,600 feet! 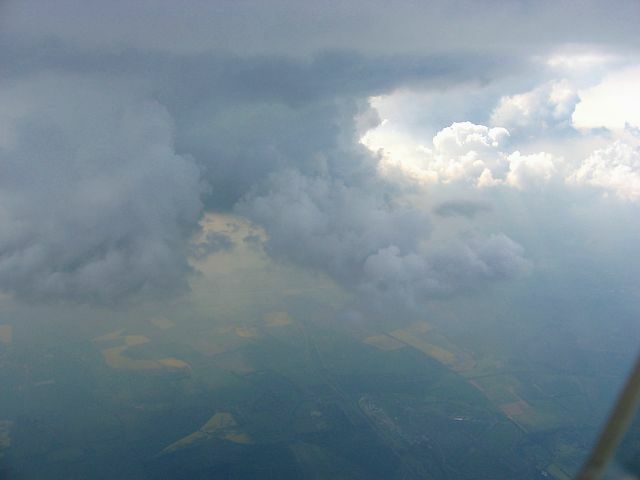 Looking back I could see the cloud top had risen to atleast 20,000 feet - a building storm. I took some pictures before the camera batteries died. A jet being towed past the launch point from ATC to do engine tests. Two views just after I emerged from the building storm cloud at over 10,000 feet. Looking North towards Hungerford. 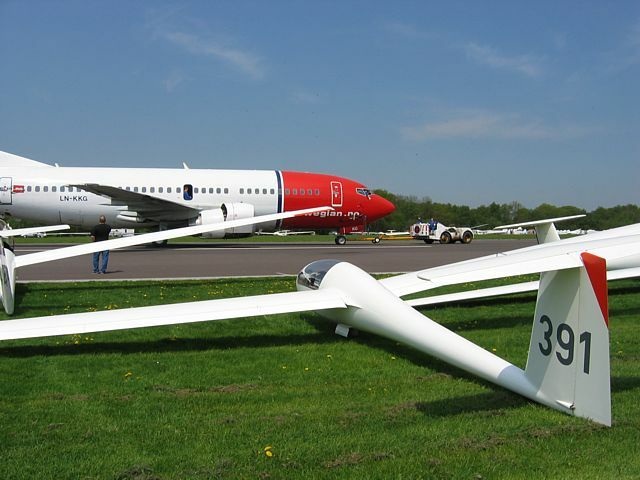 I final glid back to Lasham via there. 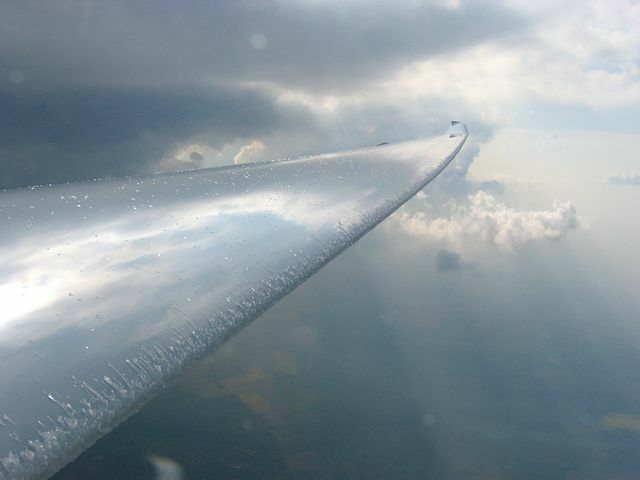 I had about 2cm of ice on the wings! I must have flown through some supercooled water in the cloud. 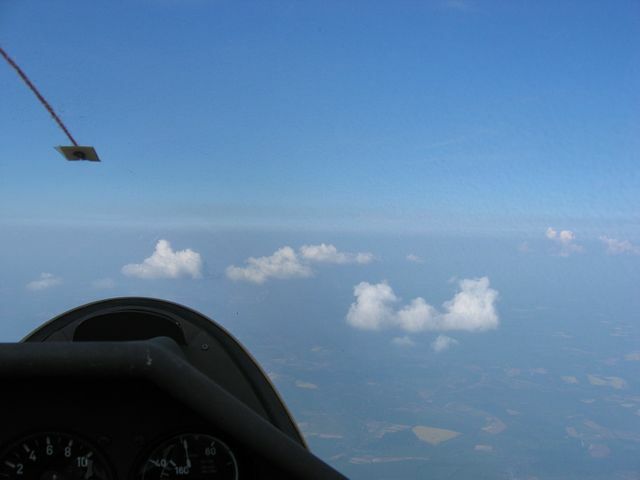 Some time after I started the glide north I took this cockpit shot. 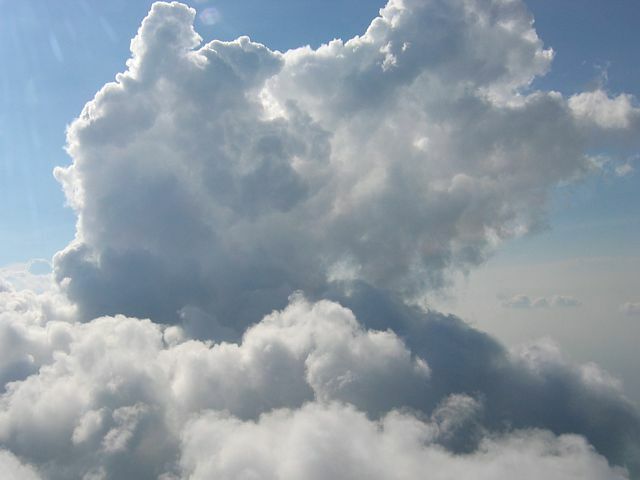 Pictures of cumulus clouds as I glid past above them.